Edward is a lawyer in the team at Evans Dixon Law. Primarily assisting clients with estate planning, Edward joined the business in 2018. 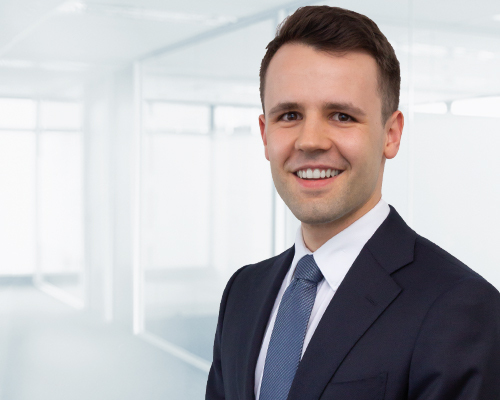 Edward seeks to understand each client’s individual circumstances and work with them to create an estate plan that will suit their needs and fulfil their objectives. He is sensitive to the personal and complex nature of the area, and endeavours to simplify and explain all available options, to put clients in a position to make informed decisions. Where possible, Edward looks to incorporate and enhance asset protection and taxation benefits for clients and their beneficiaries, to help create an ongoing legacy. He is also passionate about assisting clients in achieving any philanthropic objectives. As part of a complete estate plan, Edward can assist with preparing wills (including testamentary trusts), powers of attorney and documents relating the succession of superannuation benefits (including binding death benefit nominations and reversionary pension elections) and family trusts. Edward believes Evans Dixon Law is well placed to assist clients because of its connection with the financial services industry. He believes there are significant benefits for clients by incorporating estate planning services with financial services, as the two complement each other. Originally from the Adelaide Hills, Edward holds a Bachelor of Laws (with Honours) and a Bachelor of Commerce majoring in Corporate Finance from the University of Adelaide, where he was also an academic tutor and seminar leader. He also has a Graduate Diploma of Legal Practice from the College of Law.